It's not Dental Insurance... It's better! No Dental Insurance? No problem! We’ve got you covered! Our Smile Assurance Plan is your answer for affordable quality dental care at a price everyone can afford. This is NOT insurance — IT’S SMARTER and BETTER! 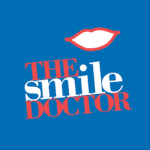 Our Smile Assurance Plan is only $96.00 a year… that’s just $8.00 per month for individuals! Best of all there are no restrictions!